There are bars with art on the walls and then there is Proof on Main, a bar where the curation of the art stands shoulder-to-shoulder with the cocktails it crafts. Part and parcel of the 21c Museum Hotel, Proof on Main is essentially a restaurant and bar within a gallery, the art rotating regularly with new envelope-pushing contemporary installations changing up the look and feel of the place throughout the year. 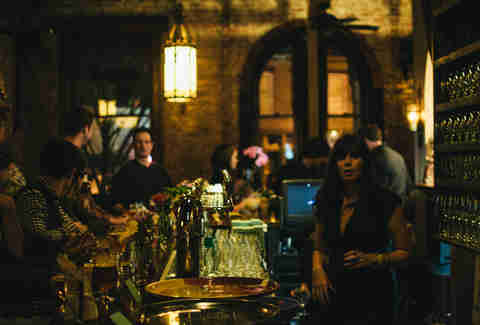 Locals like to order a Bricks and Ivy and hang by Randy, the satyr who has taken up permanent residence perched on the edge of the bar. 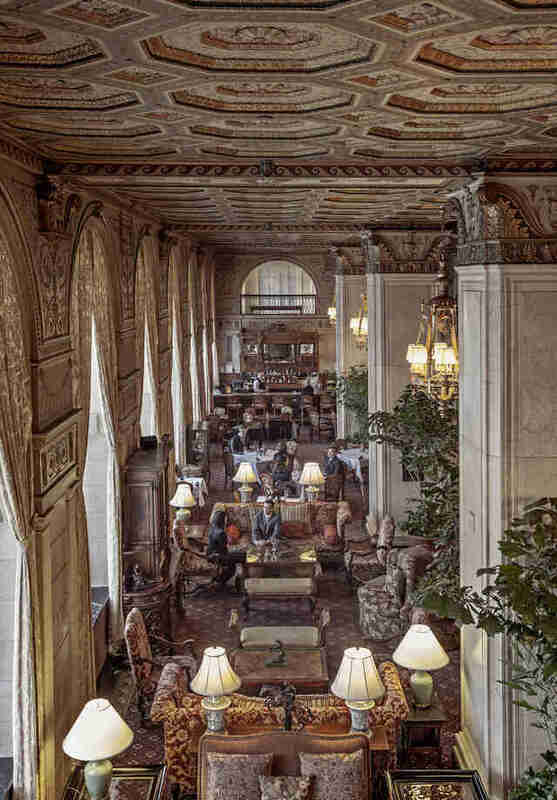 It’s hard to take in the magnitude of the Brown’s ornate and gilded lobby, an open-air space stretching two stories high and draped in elegance. The bar is equally sophisticated, with plenty of high-backed chairs and beautifully upholstered couches available for cocktailing in comfort. Given that Louisville is the birthplace of The Greatest, the aptly named Ali’s Smash is an appropriate order. Hungry? The lobster mac and cheese is fittingly decadent, considering the surroundings. A newcomer to the Louisville scene, Stout Burgers and Beers is a cozy Highlands haunt with a name that speaks to its twin passions -- and if you’re thinking that beer and burgers don’t generally translate to a beautiful bar, think again. 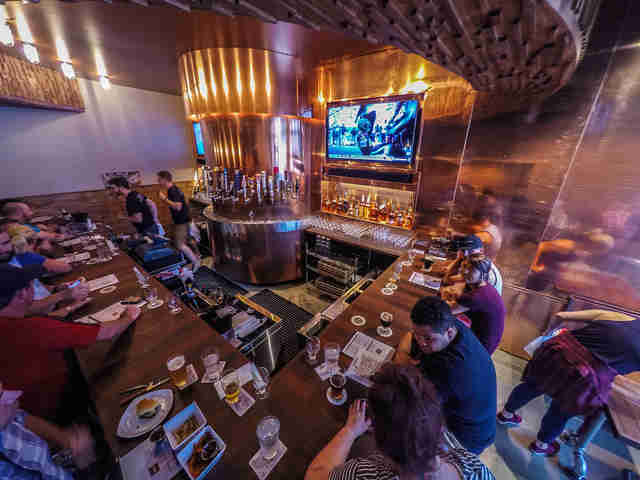 An entire wall of this small dining room is encased in a sheen of copper, which gleams against the multitude of rotating taps from which artisinal brews are poured. Jutting out over the bar is a half-moon-shaped wooden arch, hand-cut pieces of both reclaimed and new wood mixing and matching to create the ideal canopy under which to enjoy a variety of burgers and beers. When it comes to charm and ambience, it’s hard to beat Jack Fry’s, a Highlands mainstay since 1933, and the hardest reservation to secure on Derby weekend. 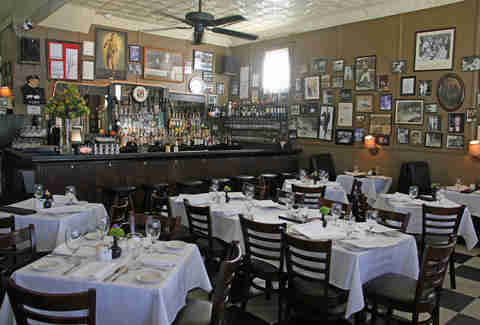 The bar is always open, however, and sits right in the heart of the small and perfectly noisy main dining room, with photos of horsemen, boxers and patrons from yesteryear papering the walls. 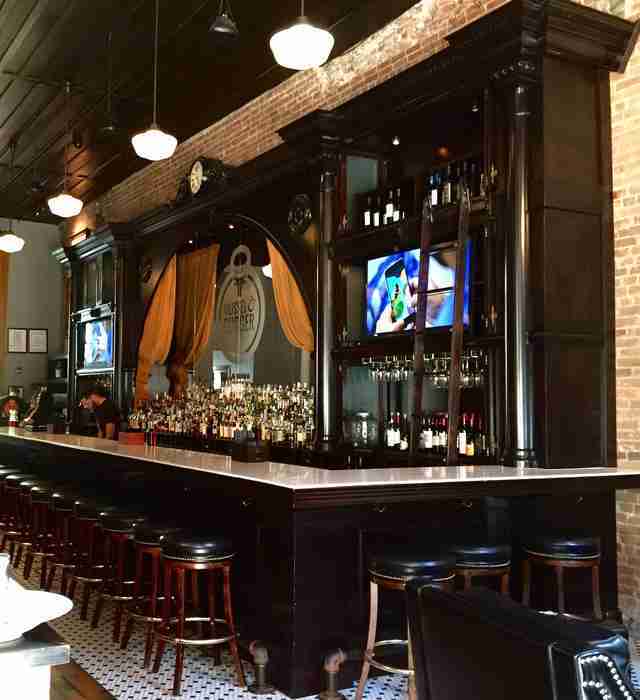 The setting practically demands a martini and you’d be foolish not to order the shrimp & grits appetizer. Tucked beneath Decca’s two-story, beautifully renovated restaurant is its Cellar, which lucky for us, they chose to use for more than just storage space. 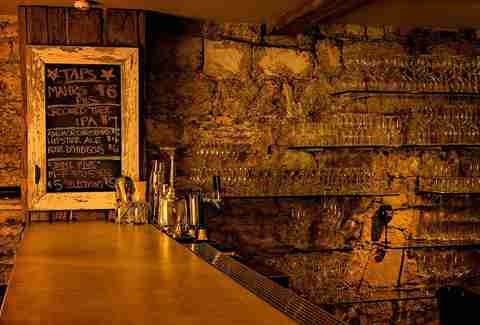 The Cellar is a dimly lit, stone-encased, vibey, and sometimes raucous hideaway in NuLu where locals gather late at night for the post-10pm happy hour, featuring margaritas and shots of bourbon served with a can of beer. Live jazz kicks off at 8pm every Monday and a rotating group of DJs takes center stage on Friday and Saturday nights. It was a shame that the restaurant stars weren’t able to align for St. Charles Exchange, leading to its closure in July of this year. Luckily, the hitmakers behind Mussel & Burger Bar saw this as an opportunity to expand their insanely successful J-Town restaurant, and the massive and elaborate mirrored bar of this custom-designed dining room did not go to waste. They converted an old church in the Highlands into a beer bar and garden. It’s equal parts ingenious adaptation and gorgeous design. That’s really all you need to know. Now go there. What could be more beautiful than more than 130 bottles of bourbon? 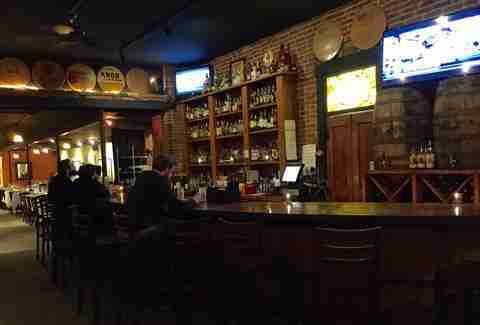 That’s the view on hand at the bar at Bourbons Bistro, where one can sip Kentucky’s native spirit atop a curved bar handcrafted by the owner and his father and made entirely of old bourbon staves. Order one of the many suggested flights and take in the branded barrel tops bordering the walls. 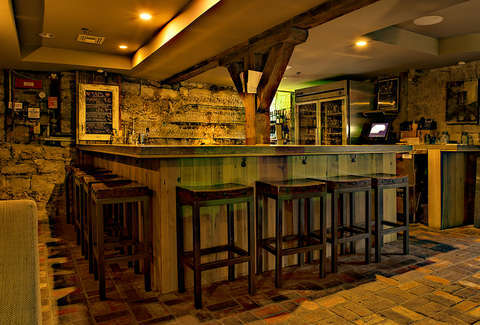 211 Clover manages to maintain an under-the-radar vibe despite being a St. Matthews go-to for more than 20 years. The bar is elegantly understated, with wicker stools available for those who want to overlook the array of liquor bottles as well as cushy armchairs for the patron seeking a cozier experience. The cocktail menu is seasonal, and bottles of wine are half price on Wednesday nights. When the weather is warmer, enjoying your cocktail in the courtyard is a must. 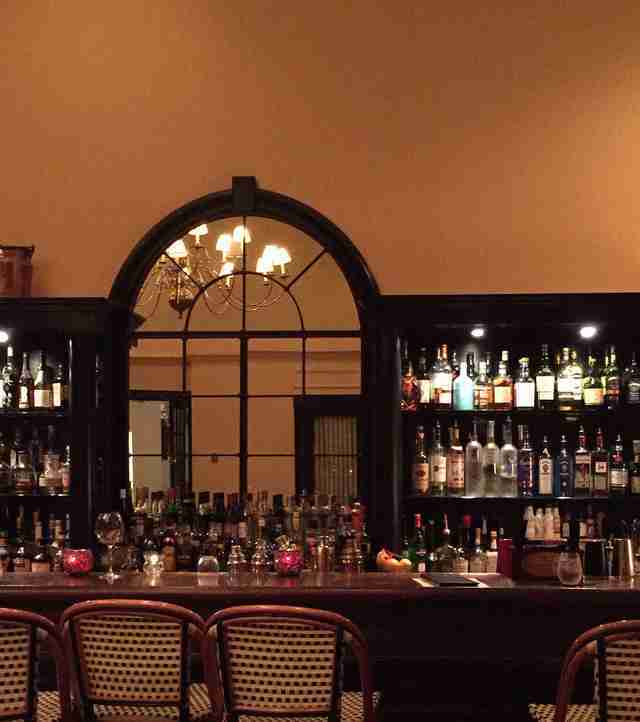 Lindsey McClave is a Louisville writer who thinks that all bars are beautiful on the inside. Follow her at @FoodieGirlKY.